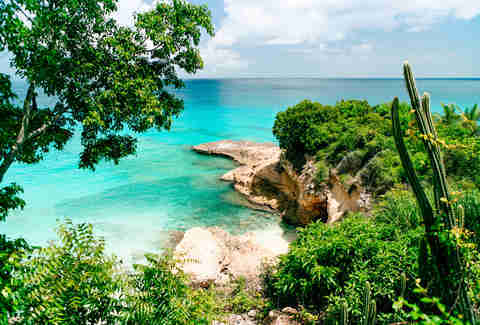 Anguilla is not for everyone -- and that’s the point. It doesn’t have the glitz of St Barths or any of those swimming pigs people go crazy for in the Bahamas. If you want to hike volcanoes try Nevis, or for cheap thrills do Puerto Rico. 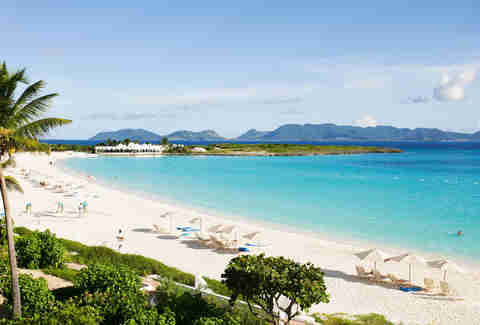 But for the ultimate chill Caribbean vacation, there’s no beating Anguilla. Anguilla is a sliver of paradise (the shape inspires the name, from the Spanish word for ‘eel’) with 33 pristine beaches lapped by electric blue sea. It’s naturally well-endowed, but it has an authentic character too; the forever friendly locals won’t sell their soul to tourism, cruise ships are kept away, and there’s not an open-top bus in sight. Sure, it gets its fair share of celebrities, but this is not a place to be seen -- it’s one not to be. It’s always been quiet and low-key, but go right now and you’ll have it practically to yourself -- visitor numbers are still low after the hurricanes last year, even though most places have re-opened and have rum punch at the ready. Peak hurricane season (August and September) has passed, but it’s not yet high season (December to April) -- meaning, right now you’ll get cheaper rates, the island is quieter, and the weather is usually a blissful 80 degrees or so. The only tough decision is which beach to hit first. You’ll still see some damaged bungalows and haphazard shacks around the island, but things are returning to normal. New coats of pastel paint are being slathered on sunkissed porches. On the way over from St Maarten, we passed a wrecked fishing boat semi-submerged in the water. “Life is to short to sink completely,” states the tongue-in-cheek graffiti scrawled on the roof. Okay, so the spelling’s a bit off, but the defiant, indefatigable spirit is dead-on. Pick a number between 1 and 33 -- you can’t go wrong with any of Anguilla’s beaches. That said, you’ll find the clearest water and the whitest sand on the north coast, and there are choice spots for different occasions. Watch the sunset at west-facing Little Bay, dine on the beachfront at Meads Bay, or watch the yachts bobbing at Sandy Ground. Your best shot at celeb-spotting is Barnes Bay -- home to the Four Seasons and Robert De Niro’s holiday villa. Last but definitely not least, there’s Shoal Bay, a two-mile stretch of sugary white sand with a snorkel-ready reef in the middle. In fact, the hurricanes caused extra sand to be dumped at the east end of the bay, so it’s now even thicker than ever. Naturally, on an island like this, your trip is going to revolve around the sea. 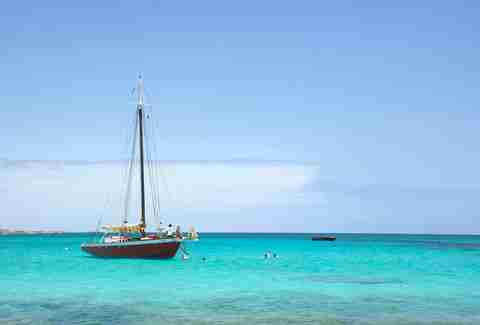 Take a daytrip with Tradition Sailing -- their ruby-red West Indian sloop once smuggled contraband around the Leeward Islands, but now just deals in secret beaches and on-deck mimosas. You’ll set a course for the Prickly Pear Cay, which is Robinson Crusoe all-over, except for the lobster lunch served at the beach cafe. Skipper Laurie and his crew can take care of the hard work, but you’re welcome to join in too. Scuba Shack can show you the best spots for snorkelling and diving; for stand-up paddleboarding or kayaking you’ll want to head to Maundays Bay or Anguilla Watersports on the south coast. Back on dry land, go on a night hike with the Anguilla National Trust (look out for wild cats and endangered iguanas), join the conservation volunteers on turtle patrol, or go for a totally-cliche-but-actually-still-amazing horse ride at Cove Bay. If birdwatching is your bag, you can expect to spot tropical hummingbirds, brown boobies (snigger snigger), and lots and lots of seagulls. 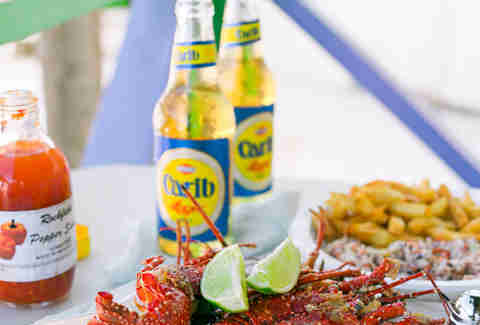 It’s not for nothing that Anguilla is known as the culinary capital of the Caribbean. Lobster and crayfish are the most prized dishes, and naturally there’s no shortage of fish whipped straight from the sea -- but root around a bit and you’ll find varied cosmopolitan cuisine and spice-packed local street food too. The place to go is The Straw Hat. It’s beachside at Meads Bay, which means you can gaze out on the bright white sand and impossibly turquoise sea while you tuck into cocktails and all the Caribbean classics (goat curry as well as the seafood staples). Then you’ve got the foreign imports. Philadelphia is probably not at the front of your thoughts when you think about Caribbean vacations, but give this a chance -- Carrie and Jerrie Bogar emigrated from Pennsylvania in 2006 and established Veya, set in a tree-house style cabin and now one of the island’s most esteemed restaurants (by that I mean book ahead). It’s inspired not just by local ingredients, but by equatorial regions worldwide -- so expect a spread of Asian and African dishes on the menu. Non-natives are behind Artisan Pizza too -- these guys are from Naples and hallelujah, they brought an authentic Italian stone oven with them. Finally, there’s Pascal Baronnier, who moved from Lyon, France and is now the mastermind behind the buttery croissants and bouncy baguettes at The Village Bakery. For food truck fare, head to The Valley. There’s no official address for Mabel Gumbs’ corn soup shack, but all you need to know is what every local knows -- it’s under the tamarind tree. (Queue, furious googling of what a tamarind tree looks like). The exact recipe is a Gumbs family secret, but she’s happy to share that local corn and pigeon peas are ground in a 100-year-old wooden mortar, then stewed up with salted pigtail to make the chunky, chowder-style stew. The most popular barbecue joint is the open-air Ken’s Pork, but for no-frills roadside chicken and ribs B&D’s is an excellent alternative. The resorts each have their fancy fine-dining menus of course, but you can still dine out in some hotel restaurants without committing to a bank-breaking tasting menu. On the beachfront at The Reef, you’ll find seafood specialist Breezes. There’s a Spanish chef (Manuel) in the kitchen, and the paella is -- predictably -- muy rico. If Bob Dylan and Bob Marley had a child… that would be really weird. But the kid might turn out a bit like Bankie Banx, Anguilla’s resident reggae superstar. His legendary beach bar, Dune Preserve, was knocked out by Hurricane Irma and is yet to re-open, but look out for Bankie (or his son Omari) performing soulful gigs around the island. Head to the Sunshine Shack for coconut cocktails on the beach at Rendezvous Bay, Elvis Bar for late nights and live music (including the odd appearance by The King), or Gwen’s Reggae Bar & Grill for beers and barbecue ribs. If you insist on something more sophisticated, drop into the Rhum Bar at Zemi Beach hotel, which has more than 100 rums and an in-house ‘rummelier’ to help you pick. First, the bad news -- the words “budget” and “Anguilla” are rarely seen in the same zip code. But there are two bits of good news: you don’t have to blow your hard-earned savings on a plush resort, and in any case, you can get a whole lot of bang for your buck. 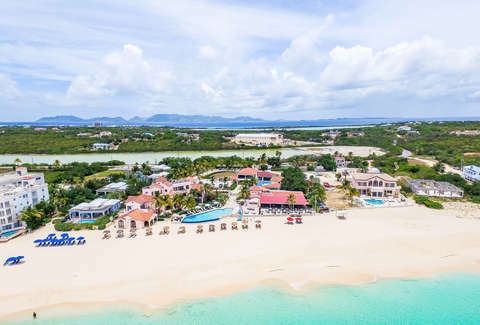 Take Turtle’s Nest Beach Resort, for example -- it’s smack-bang on the sand at Meads Bay, there’s an oceanfront swimming pool, and you get a free rum punch each day. On the other side of the island, Manoah Boutique Hotel is a good mid-budget bet by the dazzlingly white Shoal Bay. Or you can go all out. The Cuisinart Golf Resort & Spa and sister hotel The Reef are sprawling, multi-talented beachside estates, complete with an eco-friendly hydroponic farm. Not surprisingly considering their kitchen expertise, the food is spectacular (Tokyo Bay is hands-down the best sushi spot on the island), but the homegrown ingredients go into herbal spa treatments too. Hell, they even have a version of pick-your-own -- you can concoct your own individual body scrub. Zemi Beach is a palm-studded family resort, where the spa is housed in a 300-year-old rice barn imported from Thailand -- fancy, eh? To mix it with the rich and famous, you’ll want the country club vibes of Malliouhana, with 1.5 miles of powdery sand outside. Belmond Cap Juluca is something of an island institution with a 1,800 square foot pool and five (five) cabana bars along its beach. The Four Seasons is, well, the Four Seasons. Book a flight to the neighboring island of St Maarten (this should be on your bucket list anyway if you’ve ever seen what landing there looks like). You can take JetBlue from New York JFK, or American Airlines from Miami. 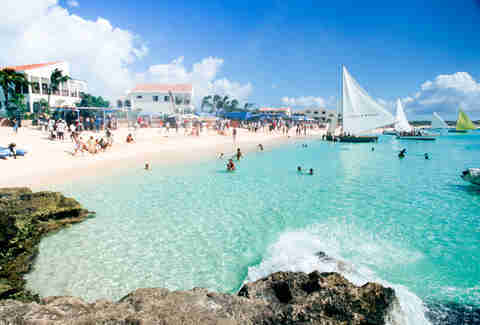 You’ll then take a short ride to the port, and hop aboard a speedboat to Anguilla. You don’t need a visa to visit, but to leave the island, you’ll need to pay a $20 fee, and be warned: there’s no ATM at the port. Jonathan Melmoth is a travel writer based in Brooklyn, New York. Find him on Instagram @mistermoho.